These two both work in weather. 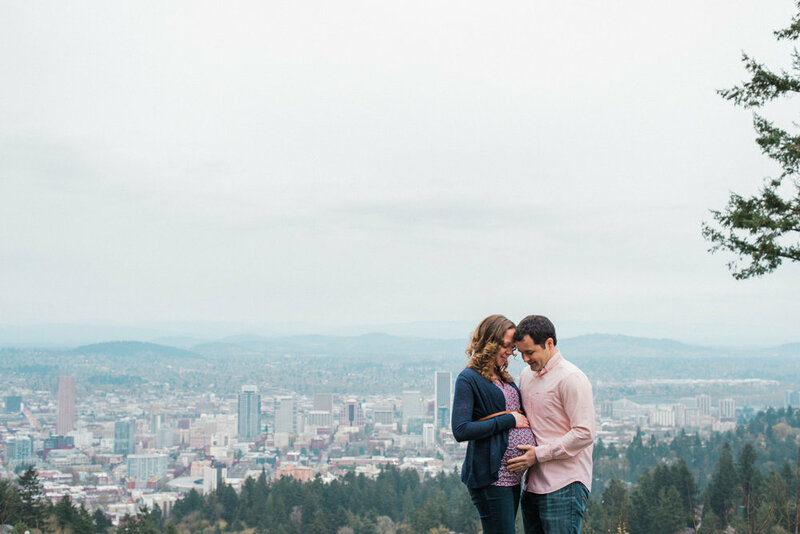 So naturally, when it came time to photograph their Portland maternity session at Pittock Mansion and Macleay Park, it was all too appropriate that it started raining just in time for their session. 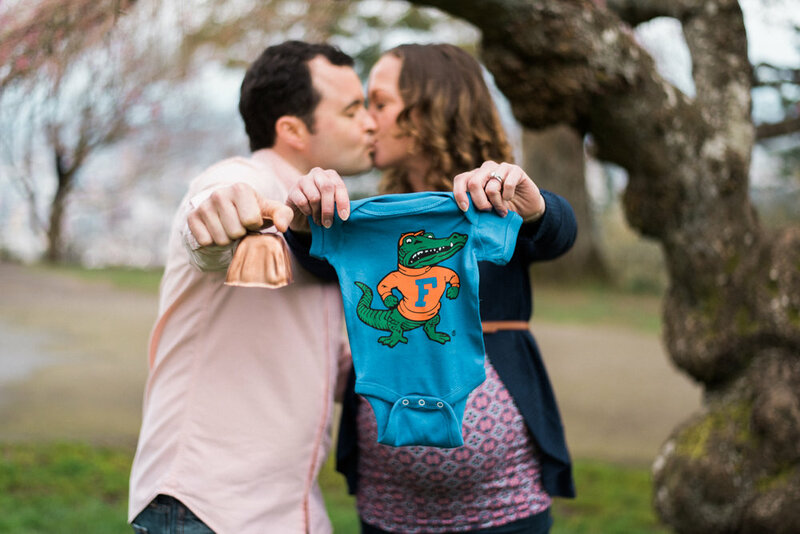 Becky & Benton met at school in Florida, so they brought along some fun props to include which represented both their Colleges, and of course, some super cute baby books relating to weather. Rain or shine, this sweet couple looks madly in love no matter where they are. I'm so happy for them and their very first baby. 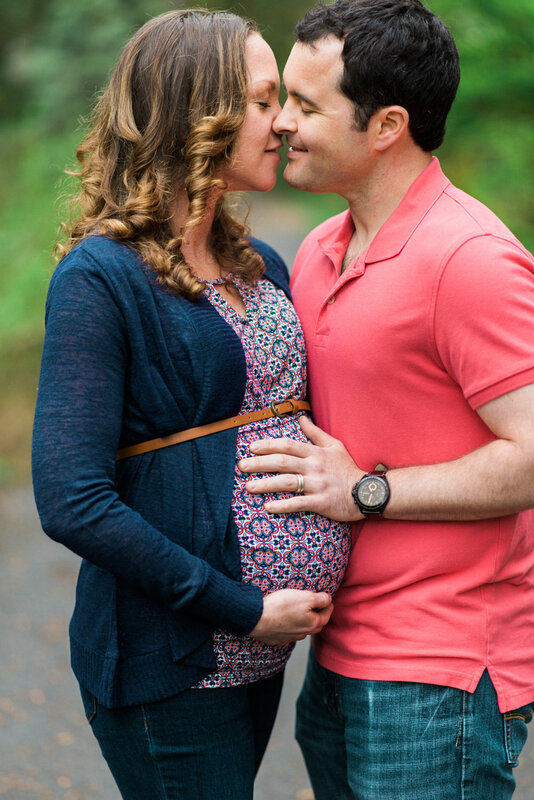 This sweet couple just had their very first baby, and I am so excited for them!! Portland’s Pearl District is a sentimental spot for Mona & Derek, so we knew their maternity portraits should take place there. Not to mention, Mona and Derek are avid art collectors and love spending their free time exploring the Pearl’s many art galleries. Their session happened to land on First Thursday, the day of the month where Art galleries on 13th Avenue open their doors and hold a street festival for art lovers in Portland! We walked down 13th Avenue, capturing photos of Mona & Derek along they way, and finished our session just before the crowds began to arrive. The fall colors were just starting to turn vibrant, and Mona’s beautiful bright red dress looked stunning next to Derek’s blues. Just a few short weeks after this session a new member of this sweet family was born. Stay posted for photos from his newborn session, coming soon!